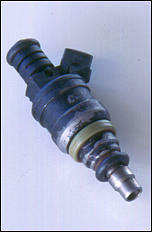 The power ratings discussed above are for each injector. This means that you need to multiply this rating by the number of injectors that are to be used. So, if you were using the Bosch 0 280 150 100 injectors in an eight cylinder engine (with one injector per cylinder) the max power that the injectors could deliver fuel for would be about 300hp. In addition to the variations in fuel flow from injector to injector, you will also notice that the injector resistance (ohms) varies. 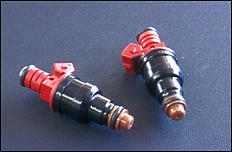 Injectors fall into two broad classes in terms of their coil resistance - "low" and "high". 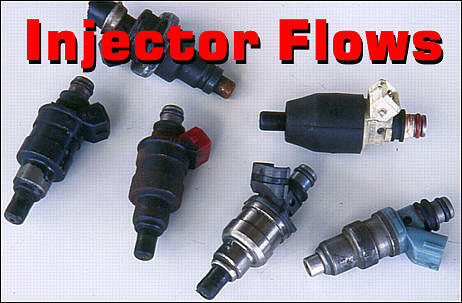 Low resistance injectors have 2-3 ohm coils, while high resistance injectors are up around 14-16 ohms. If you are upgrading a car to larger injectors, the new injectors should be of the same resistance class as those being replaced. If you are fitting programmable management, you must make sure that the ECU will be happy with the coil resistance of the injectors that you have selected.